It’s a longstanding Dartmouth Club of Greater Boston tradition that alumni give out Dartmouth t-shirts to newly admitted students in the area. 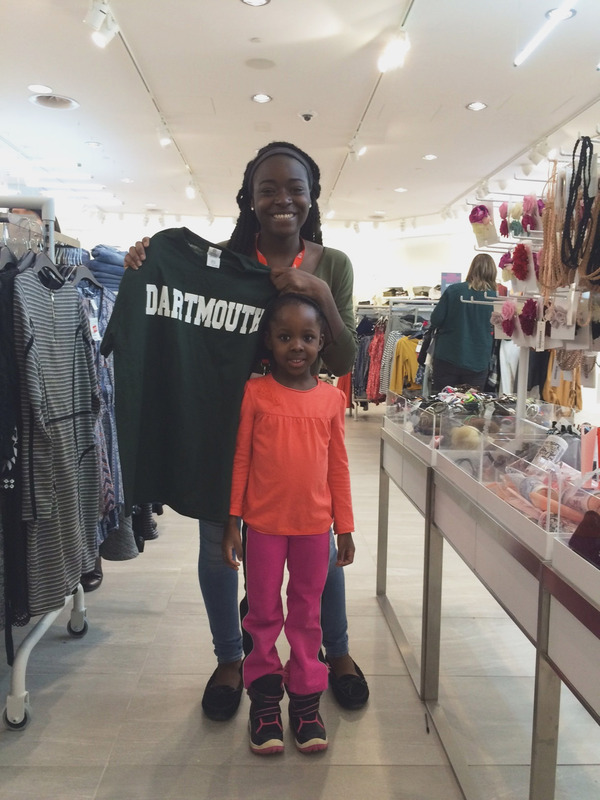 Peter DeNatale ’74 has been giving out t-shirts to accepted students for over a decade, but in 2016, when he stopped by the home of Esther Oluokun ’20, things didn’t quite go as usual. The admissions process has changed quite a lot since Peter was accepted to Dartmouth in 1970. Each year, alumni connect with newly admitted students across the country at dozens of Admitted Student Events.